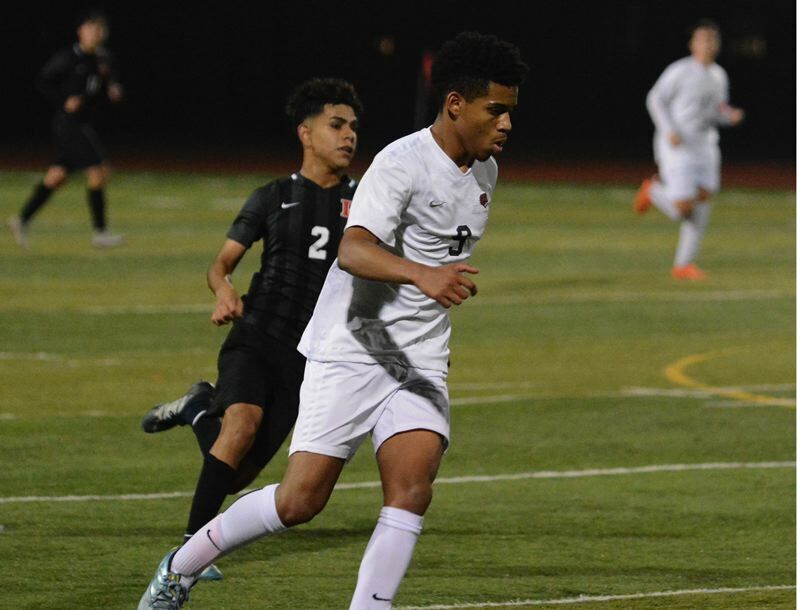 Beaverton was forced into chase mode after David Douglas netted a pair of early goals on their way to a 4-0 Tuesday night in the second round of the 6A boys soccer state playoffs. It was the Beavers, who created the game's first scoring chance just 30 seconds after the opening whistle when a long-range shot deflected off David Douglas goalie Andy Borbon. The rebound came to the feet of Beaverton's Joshua Rubio-Romero at the mouth of the goal, but he was unable to get off a clean shot. The Scots dodged the bullet and flipped the field, scoring twice in the next five minutes. David Douglas put itself onto the scoreboard when Isaac Rangel Villafuerte played a through ball into the center of the 18-yard box. Teammate Rigo Mendez timed out his run perfectly, flashing past the deepest defender to put himself 1-on-1 with the keeper from the penalty dot. "I wasn't sure if I'd get to the ball in time, but I ran all out and got there," Mendez said. "I took a look at the goalie, a look at the ball, picked a side and hit my shot." The Scots were back on the attack moments later, this time with Miguel Ordaz making a deep run before shifting the ball over to his right where Mendez hit a sharp-angled shot past the keeper and inside the far post to make it 2-0 barely five minutes into the match. "We tried to attack as much as we could in that first 10 minutes," Mendez said. "We wanted to secure this game early." The Scots nearly notched another a few minutes later when Villafuerte got loose at the front of the goal and forced Beaverton goalie Alexis Ojeda to make a point-blank save. David Douglas made another charge in the final seconds of the first half when Mendez flicked a ball ahead for Villafuerte, who ran onto the ball near the penalty dot only to have Beaverton goalie Alexis Ojeda slide down to block his approach with 0:01 left. The rebound popped out to David Ghising at the top of the box, and he hit a one-timer into the net but the clock had moved to zeroes before he got off the shot. "They are a good team that is really fast, and they put a lot of pressure on us," Beaverton coach Scott Munson said. "We had to weather the storm and get back to playing our game." After being limited to long-range attempts through the first 40 minutes, the Beavers created their best chances early in the second half. Rubio-Romero drew a foul at the top of the arc, setting up teammate Miguel Hernandez for a free kick that sent Borbon flying to his left to make his most difficult stop of the night. Five minutes later, Ramiro Espindola made a run into the right corner before crossing the ball into the middle. Three white shirts were in the box, but none were able to connect with the ball. The Beavers' last big chance came midway through the second half when Nicholas Kimmi hit a free kick on target that clipped Borbon on the shins, leaving a dangerous rebound near the post. Beaverton's Alvin King followed up with a shot, but Borbon came up with the point-blank save. "They are very organized in the back and weren't giving up many chances," Beaverton coach Scott Munson said. "And we weren't hitting the target." David Douglas put the score out of reach when Villafuerte got loose down the right side and hit a waist-high blast into the center of the net for a 3-0 lead with 15 minutes to play. The No. 3-seed Scots (12-2-2) host No. 6 West Linn (11-2-3), the Three Rivers League runner-up, in a quarterfinal match at 3 p.m. Saturday. Beaverton finishes the season with a 9-5-3 record.